[media-credit name=”ENC Graphic Services” align=”alignleft” width=”194″] [/media-credit]Eagle Talons is the second book on the page that is accessed via the above link. Click on the green bar next to Goodreads, and it will take you to their site where you can read a review by one of the folks who won an advance ready copy in the giveaway I conducted. At this Goodreads’ site you can also see the profiles of the 225 viewers who have indicated they have an interest in reading the book. That’s exciting and encouraging. 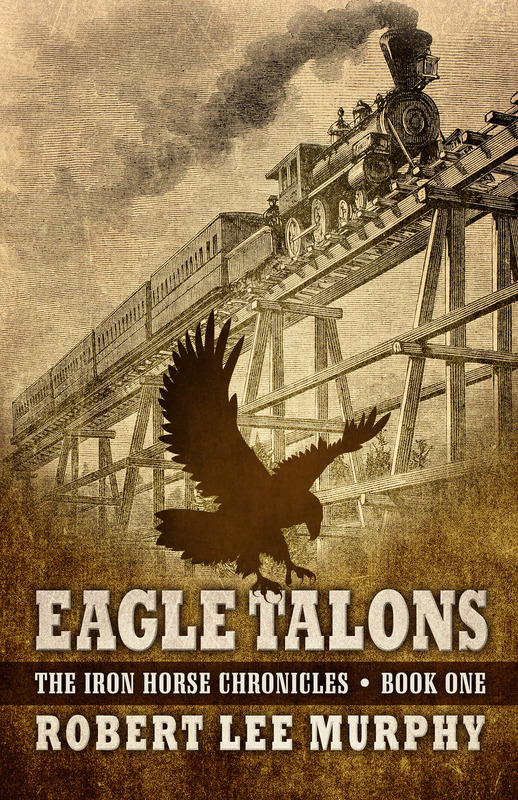 Earlier this week, Five Star Publishing advised me that Eagle Talons has been selected for publication in a large print edition in February 2015 as a Wheeler Western. That is a wonderful addition to the publishing plans for the first book in The Iron Horse Chronicles trilogy. My father, who passed away a few months short of his ninety-ninth birthday, enjoyed reading large print westerns in his later years after his eyesight began to fail. I am pleased that my book will be made available to readers who have vision problems. I hope they enjoy the story of young Will Braddock on his quest to determine his own destiny at the time of the building of the first transcontinental railroad. This entry was posted in Book Review, Eagle Talons - Book One, Iron Horse Chronicles' Characters, The Iron Horse Chronicles, Transcontinental Railroad and tagged Adventure Fiction, Eagle Talons, First Transcontinental Railroad, Five Star Publishing, Frontier Fiction, Goodreads, Historical Fiction, Pioneer Life, Teen Fiction, The Iron Horse Chronicles, Trains, Western Fiction, Westward Expansion (1867-1869), Will Braddock, Young Adult Fiction, Young Readers. Bookmark the permalink. Robert, I have pre-ordered you book and am anxious to read it.